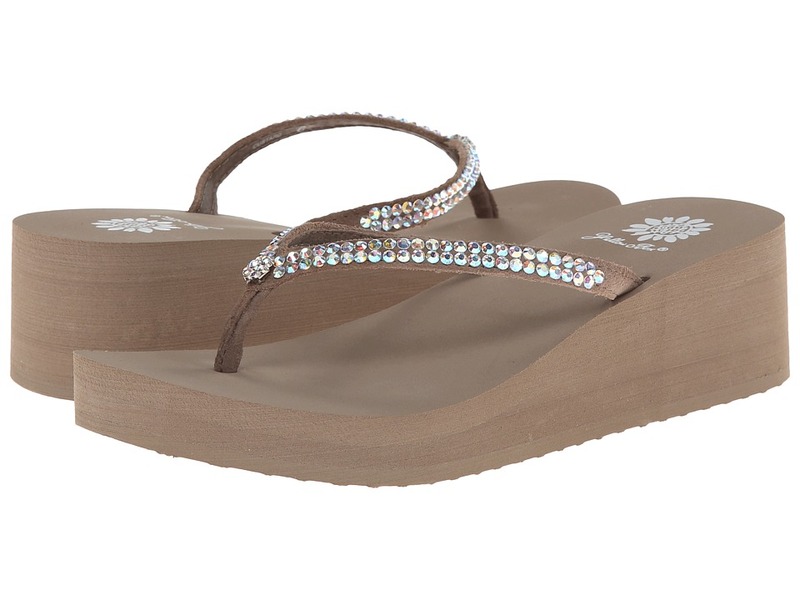 Candy is dandy and sugar is sweet… Have dessert first when you step out in these glorious sandals!Thong-style construction.Leather upper with rhinestone-encrusted straps.Leather lining.Lightly cushioned man-made footbed.EVA platform and wedge.Textured rubber sole. Measurements:Heel Height: 2 inWeight: 5 ozPlatform Height: 3 4 inProduct measurements were taken using size 8.5, width M. Please note that measurements may vary by size. Brand New,but WITHOUT box,because box is so heavy that will add shipping fee….